Rudy brings a CPA’s eye to one of the most complex areas of the law. From a solid background in business formation and planning, to estate and tax issues, Rudy is dedicated to providing the highest-quality legal advice to his clients. Whether a business owner, individual or professional, Rudy’s understanding of complicated tax issues, as well as basic business law principles, will help you and your business succeed. 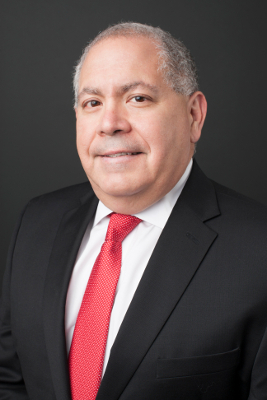 Rudy is a member of the Board of Directors of Austin Capital Bank, SSB, KLRU-TV, a member of the University of Texas at Austin Planned Giving Advisory Board and serves on the Chancellor’s Council Executive Committee for The University of Texas System. Rudy has previously been active in various civic organizations including Leadership Austin, the Texas Lyceum, Communities in Schools, St. Gabriel’s Catholic School and the Greater Austin Hispanic Chamber of Commerce. Rudy is the recipient of the 2013 Greater Austin Hispanic Chamber of Commerce Businessman of the Year, the 2014 Con Mi Madre Corazon Award and the 2015 Community Leadership Circle Award presented by the University of Texas at Austin.